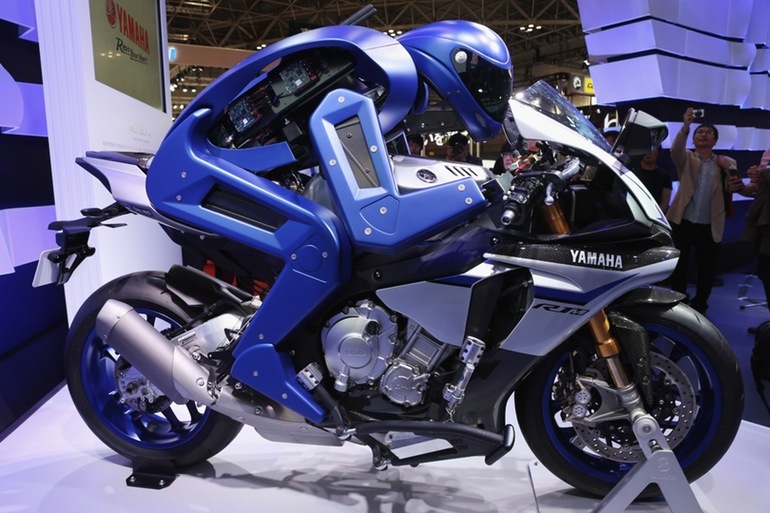 Yamaha unveiled a motorcycle riding robot at the Tokyo motor show today that was quite a surprise! 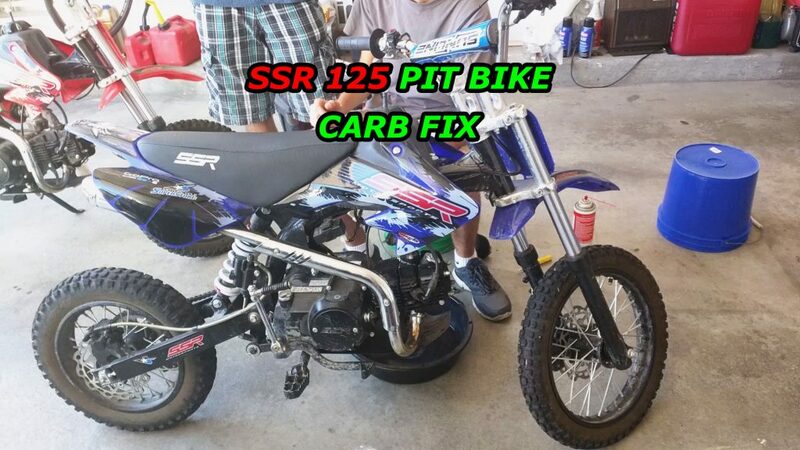 It doesn’t just ride a motorcycle, it rides a liter bike! 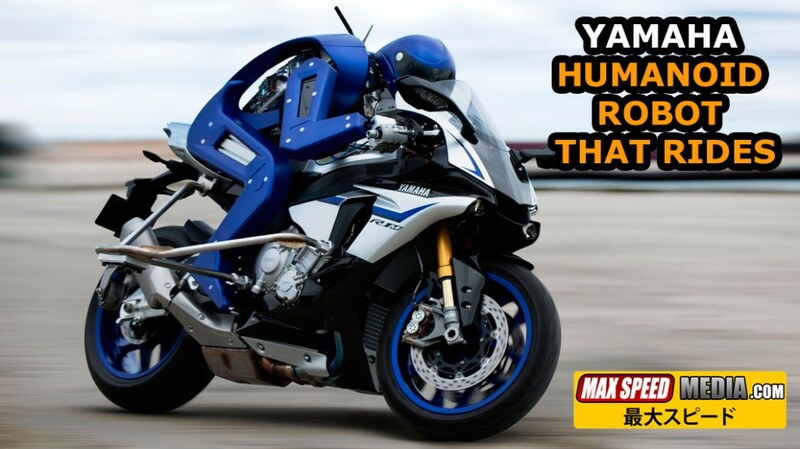 The motorcycle riding robot (Motobot) designed by Yamaha is actually perched atop a full-fledged, Yamaha R1M, 1000cc superbike. This robot doesn’t mess around apparently when it comes to riding in style. 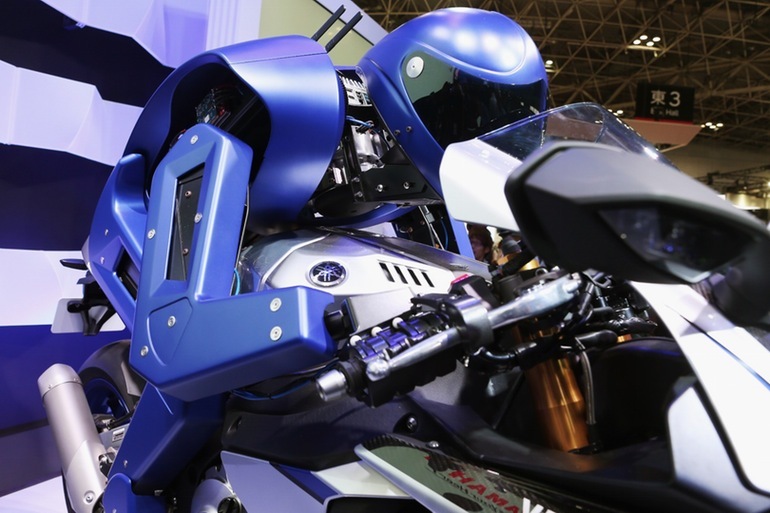 The Motobot was designed using Yamaha’s robotics and motorcycle technology to be able to ride a completely unmodified motorcycle on a racetrack like a boss. 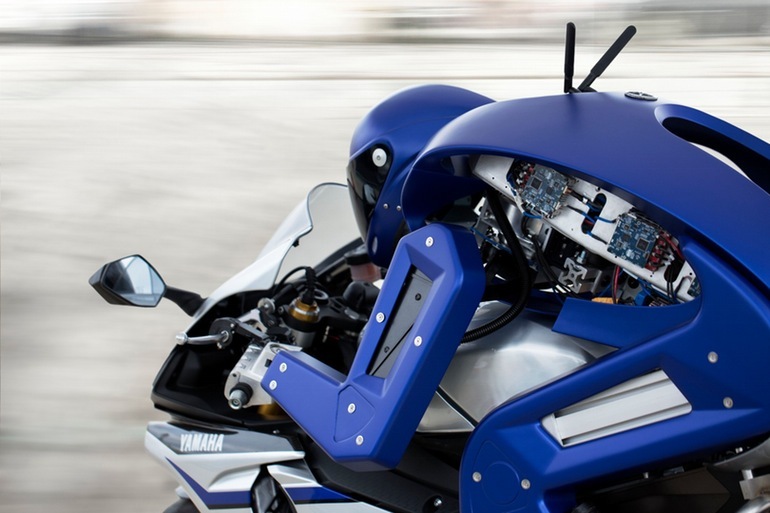 According to a Yamaha press announcement, “the task of controlling the complex motions of a motorcycle at high speeds requires a variety of control systems that must function with a high degree of accuracy.” That seems to indicate that the Motobot hasn’t been perfected just yet. Even so, Motobot definitely looks like a pro. Yamaha’s plan is to use the Motobot to help them develop safety systems that will protect the rider such as those currently found in cars.